The staff at HAS is the perfect team to run an HOA smoothly and efficiently. It makes for a confident and enjoyable experience being a member of the board knowing that everything is being taken care of with integrity, professionally and honestly with high standards demanded and expected by our homeowners. Thank you for a great and well done job every day of the week! When I joined the Board, the first order of business was to find a new HOA management company that would serve our community in the best way possible. We interviewed several companies but not one came close to everything Homeowner Association Services has to offer. Under their management and guidance, our HOA has become efficient, financially stable, and has a positive reputation with our homeowners. They also helped us to reduce our monthly dues all while increasing our homeowner services. The team at Homeowner Association Services is outstanding and I would recommend them to any HOA! 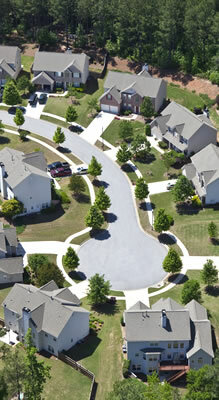 Homeowner Association Services’ managers are professional, efficient and easy to work with. Typically in this industry, requests for proposals get left for the last minute. Not with HOA Services. They give us ample time to design solutions for RFP's that are on budget and meet the expectations of the board members they serve. "Thank you very much for your professional email responses that clearly describe the processes and procedures that we are obligated to follow as a Board. We rely on your knowledge and expertise as our Community Manager to assure that the Board performs its duties according to our bylaws, as well as all applicable California codes and statutes. I am not an expert in this area, and it seems that the other Board members will, as I have, certainly benefit from the expert council and guidance you continually provide us. I am confident that as our Community Manager, you will guide the Board members through this process to do what is not just "lawful", but will also be in the best interest of our community." It is so kind of you to get this [Lender Certification Request] to us so quickly. This is the fastest HOA response I have experienced in my 18 years of Real Estate. As a board member of my association I have worked with HAS for several years. They are very professional, reply to requests quickly and always follow through. The staff is very friendly and helpful. It is nice to be able to talk to someone when you call and not an answering machine. I highly recommend them. "In my line of work (title and escrow), we have to deal with many, many HOA Management companies on a daily basis... Our experience with Homeowners Association Services, is one of the best and they are very professional and so easy to work with and get us what we need in a friendly and timely manner ~ always! That leads me to believe, they must be professional with all whom they come in contact with and if I had to live somewhere that had an HOA, I would be happy to have them on board. A special thanks to Jan and Marylou"
"Just wanted to thank you for your efforts the last 2 years in bringing the HOA management up to the professional level the community deserves. I know much of your effort goes unappreciated; and you often end up taking the brunt of homeowner discontent with having to follow the rules they agreed to in purchasing their homes. Keep up the good work for the overall benefit of the property owners." "Last night at our meeting with the attorney regarding the upcoming mediation, I was very encouraged to hear what he had to say about how well we've handled this issue. As we all heard, he said that we've done everything right regarding investigating complaints, polling neighbors, communicating and the like. He was very complimentary. As I was sitting there feeling good about myself and my fellow Board members, it dawned on me that the main thing we have done really well as a board is listen to you. You've guided us through this process, you've made intelligent well informed suggestions and you have tactfully pushed us in the right direction when it was vital to do so. You've sent the right letters phrased the right way and kept thorough records. And I'm constantly impressed with how well you know your business and are 'on top of things'. I've been on the Board when we had other managers, and although I personally liked them, I can't imagine being successful in this process without your guidance. Thanks for all you've done. With you at the helm, I'm confident we'll be as successful in this process as an HOA can be." "I have been way too busy lately to do much more than handle things as they arrive. I have been remiss in thanking you for your support and guidance during my term on the Board. You are a valuable and knowledgeable asset and resource. I want to further thank you for your Herculean efforts and patience in regards to our recent legal problems with one individual. Your efforts certainly called into play your devotion to the underlying cause of your work. You stood for what you say and said what you stood for. In my life, that means a great deal. You have proven yet again that honor wins out against the dishonorable. Thank you for all your efforts, guidance and direction during a very difficult time. May God be with us all that we finally have this matter resolved so that our new Board can focus on some 'real' matters and concerns.